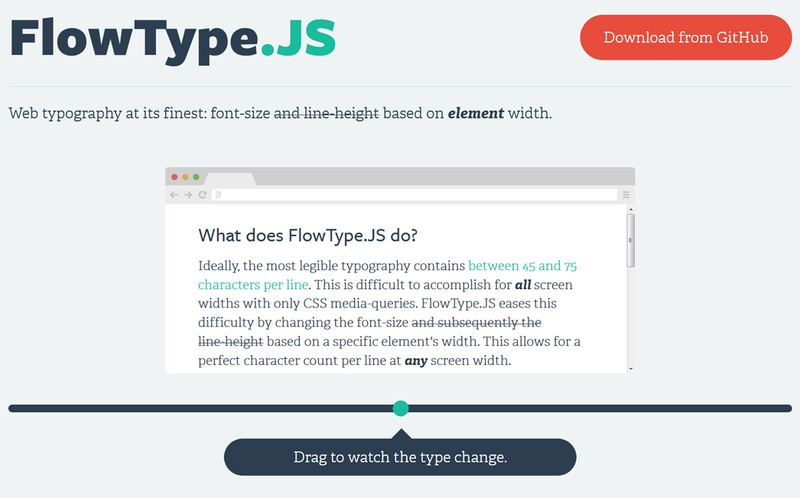 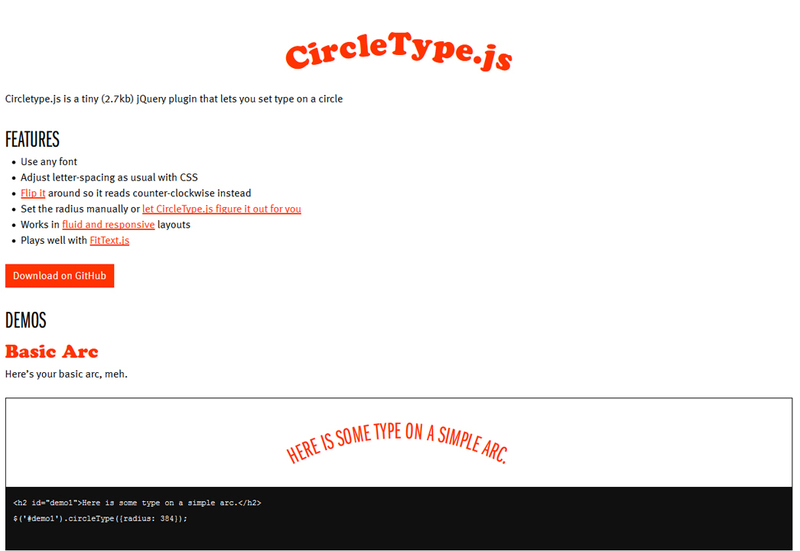 No one ever said that web typography is easy, but it has gotten easier in recent years with the wide spread adoption of web fonts, the introduction of helpful typography tools, and as we see in this post, super useful jQuery plugins. 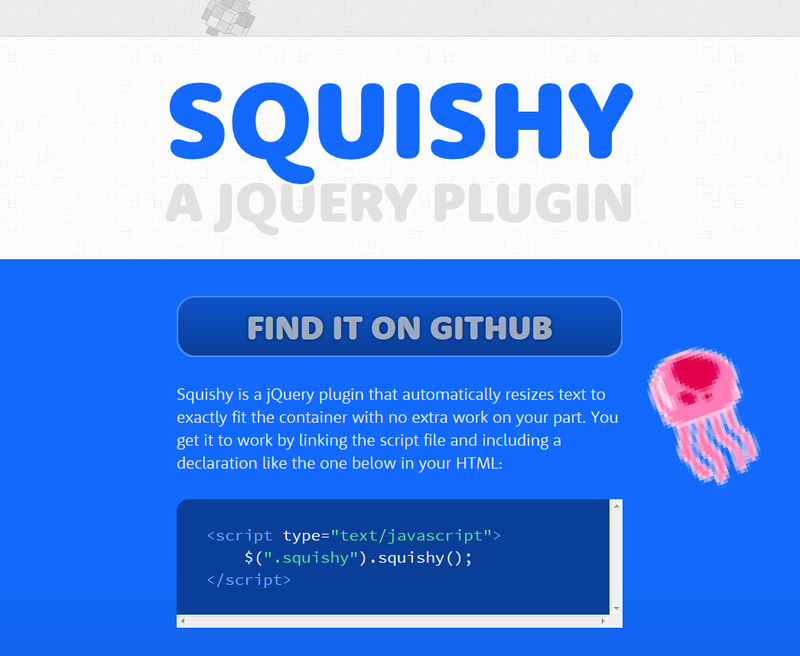 For this post, we’ve gathered 10 jQuery plugins that will help do things like create fluid text, responsive headlines, cool text animations, and a lot more. 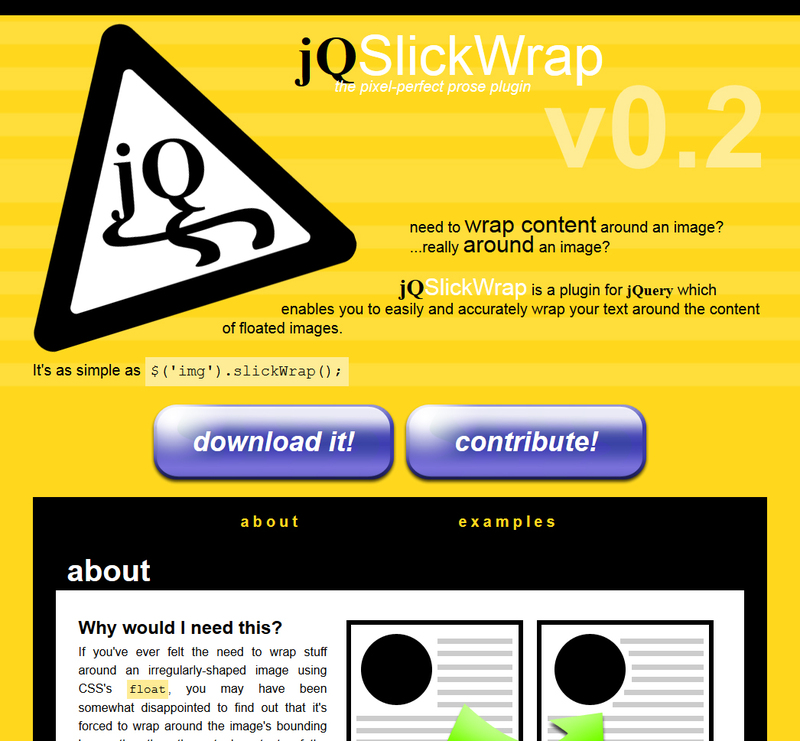 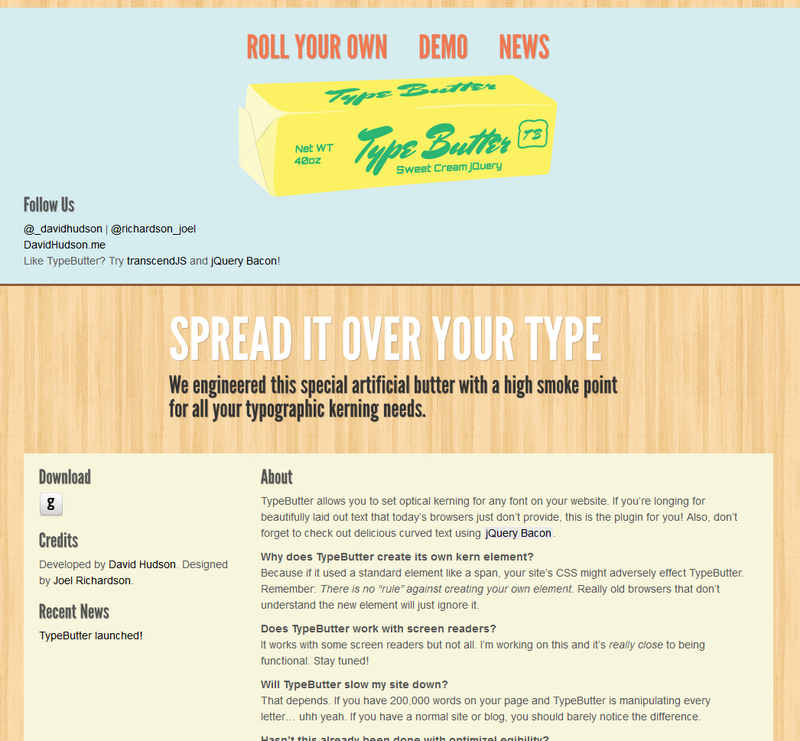 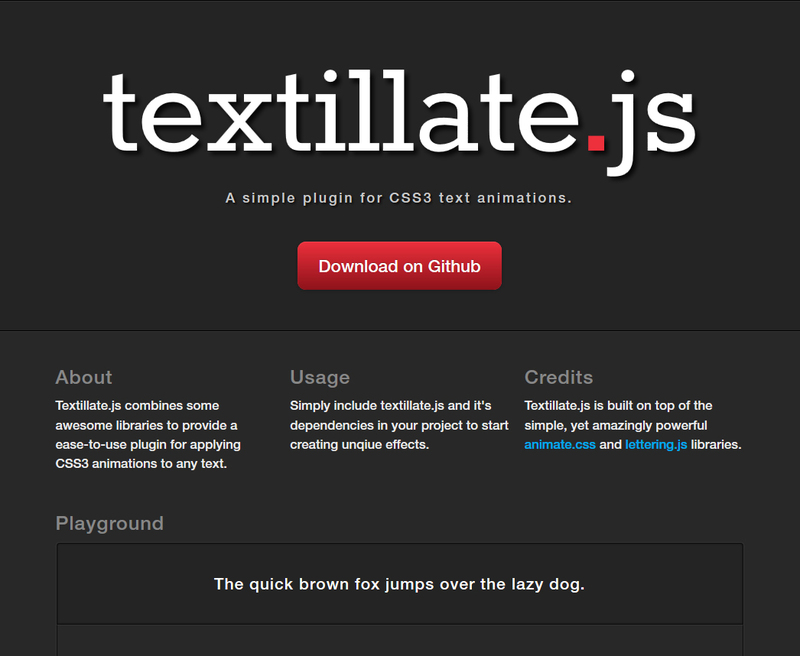 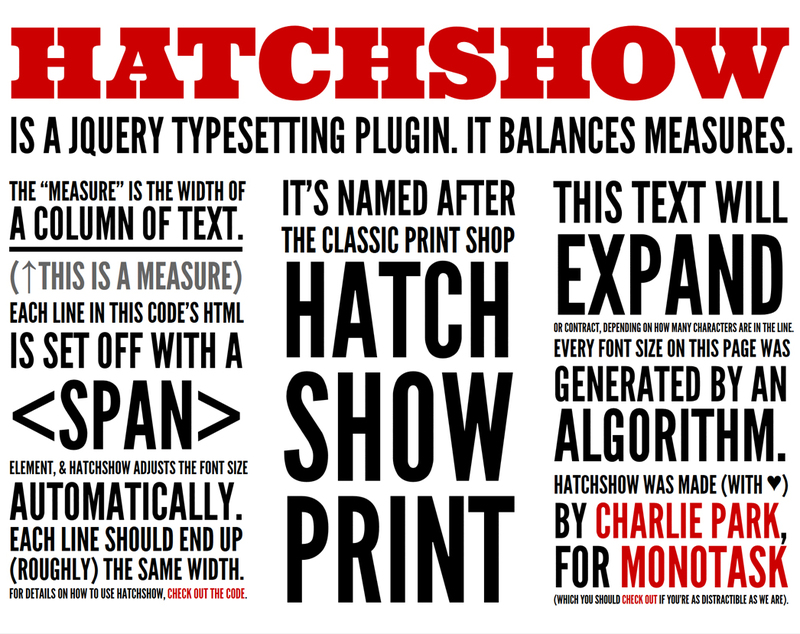 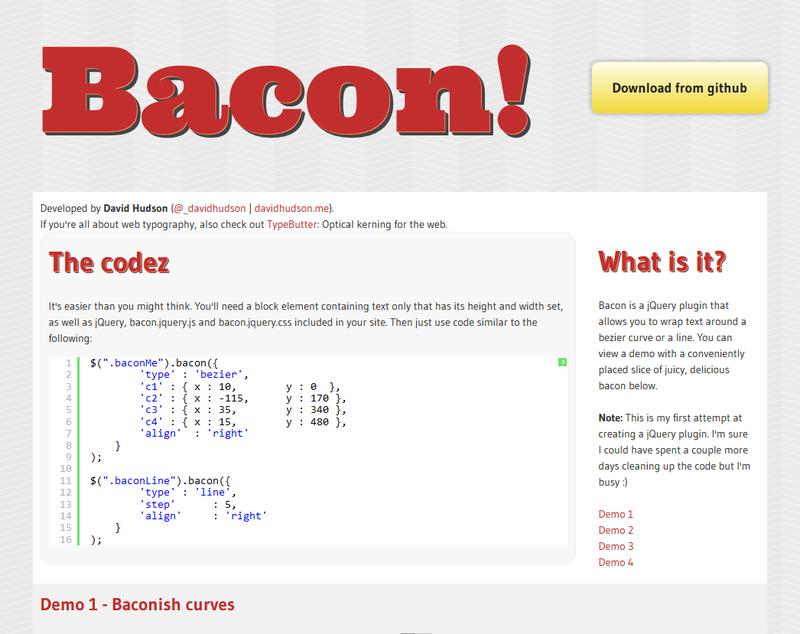 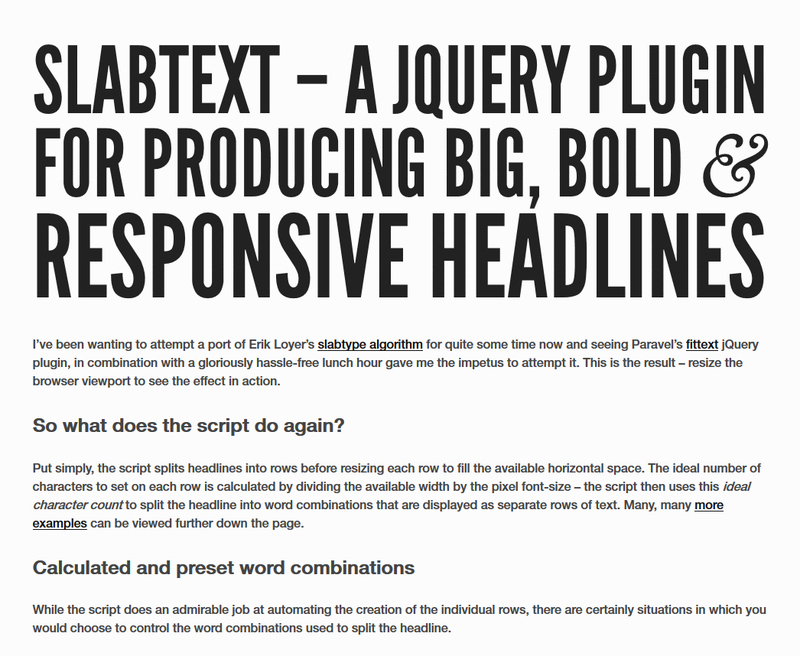 A jQuery plugin for creating big, bold and responsive headlines. 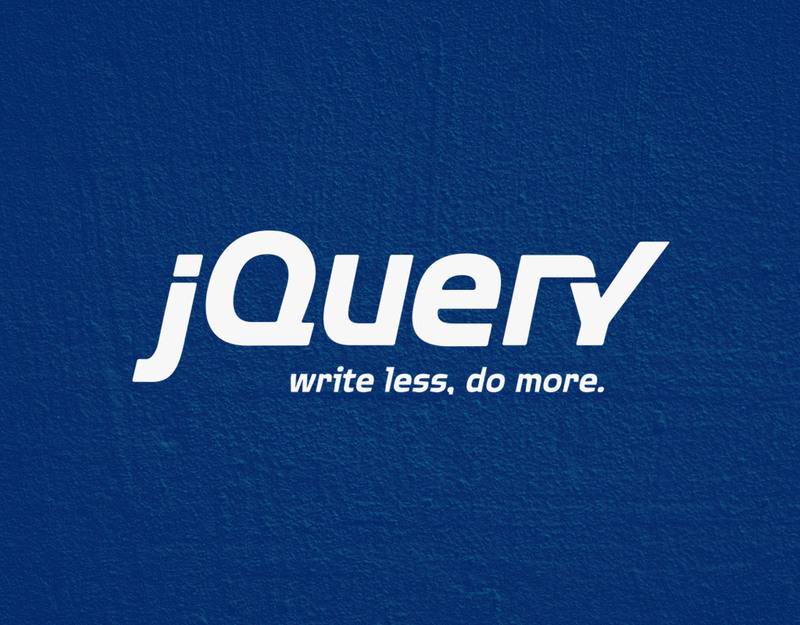 A jQuery typesetting plugin for balancing measures.